Banu was a very tough female. She survived being shot through the jugular vein by a drunken neighbor. 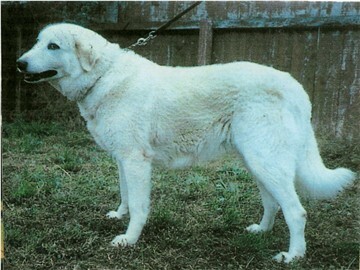 Banu was bred to Champion Havuz Tarak in October, 1978. She whelped December 25, 1978. 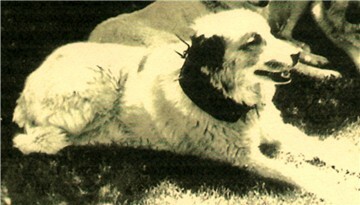 This litter produced two (2) ASDCA National Specialty Winners (Champion Yildiz Noel Chomar and Champion Sahih Chomar) as well as two (2) top-notch livestock guardians (Melek Chomar and Kadar Chomar), who were featured in many of the early publications and videos about the Livestock Guarding Dog Project. 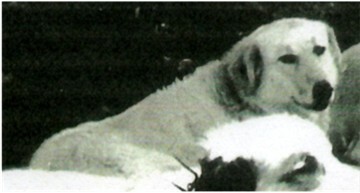 Also produced was Mesin Chomar, the Dam of Basinda's Asil (Bear). and return to the previous page.